Rackham's Distemper Balls. The only cure known. 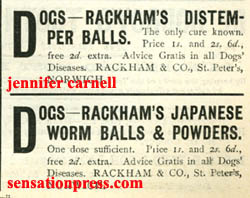 Rackham's Japanese Worm Balls and Powders. Rackham was based in Norwich.